If something in your home goes wrong and you are left without power, DIY is the one thing you should avoid at all cost. Not only will you put your own life in danger but you will also endanger the lives of everyone else in the home. The reason for this is the slightest oversight could lead to fires and lethal electrical shocks. When a qualified professional does the job, this will not happen due to the simple fact that they have been specifically trained for the job. 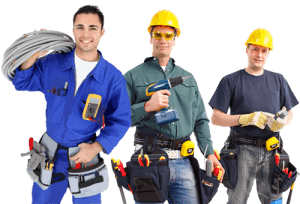 When you need an emergency electrician Bondi and surrounding areas had credited with excellent work, you need to go to Randwick Electrical to see exactly what kind of services you can find to remedy your emergency. They are small and because of this you will get the same team or individual whenever possible and that means your electrician will get to know your home’s wires and circuits much better than you do and because of this they will easily find the fault in the system and repair it faster than those electricians unfamiliar with your home because they already know what to look out for. Emergency services may be needed on electric as well as solar power and both of these instances can be handled by an emergency electrician Eastern Suburbs have received services from regularly in a pinch from Randwick Electrical. They know exactly how to enable you to go on with the rest of your day by quickly getting your power back on or specific wiring repaired. In the economic climate we are living in we need to save as much as we possibly can. For this reason we often choose weaker globes to assist in lessening our power consumption. The thing is this is no longer necessary due to modern technology. Specifically LED technology. A light emitting diode or LED uses up to 80% of the power for light and only 20% is lost to heat while outdated incandescent globes only uses only 20% of power for light and an entire 80% is wasted on heat. A great idea to save money would be to use an electrician Randwick and surrounds have used to convert their entire home’s lights to LED and do the same. At Randwick Electrical they can do it for you at a price you’ll be able to live with especially if you take into account that you will be saving a whole lot of cash in the long run. A good electrician Clovelly uses regularly can save your life. Not only by eliminating the risk of electrocution and fire hazards but also by installing smoke detectors correctly. If they are not installed the way they should be, a fire would go unnoticed until it may be too late. Another way that they may be saving your life is by installing ceiling fans. This saves your life by cooling you down without having to expend the exuberant amounts of electricity that air conditioners use. No more overheating and dehydration from excessive heat.